She looks so dang adorable. The whole ensemble is too cool! 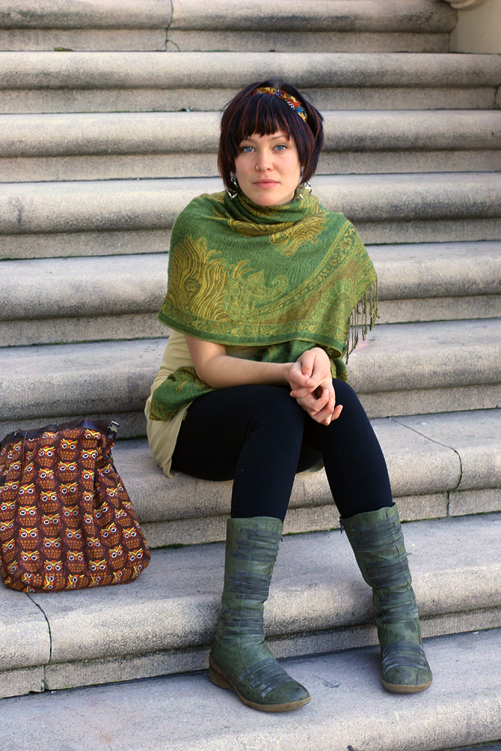 She found the perfect understated pieces to compliment the boots and scarf. very nice. ♥ the scarf! also she's a stunningly gorgeous woman. grrrr.